The sell-by date has passed on that old rule, about only wearing white between Memorial Day and Labor Day. No one buys into it anymore. But it is true—indeed, will always be true—that summer is the season when white-colored clothes look the absolute best. There's just something about the way a white dress sets off sun-kissed skin and stands out against the backdrop of a blooming garden or a turquoise pool. Valentino red will forever remain the maison's iconic color. But white has a lock on second place. Mr. Valentino staked his claim to a bleached palette right off the bat: One of his "dream" dresses from 1955 is a stunning white satin cocktail frock featuring transparent beads and sequins and a layered crinoline skirt. But the color (or, non-color, to be exact) really came into its own, Valentino-wise, with the legendary "white collection" for Haute Couture Spring/Summer 1968. 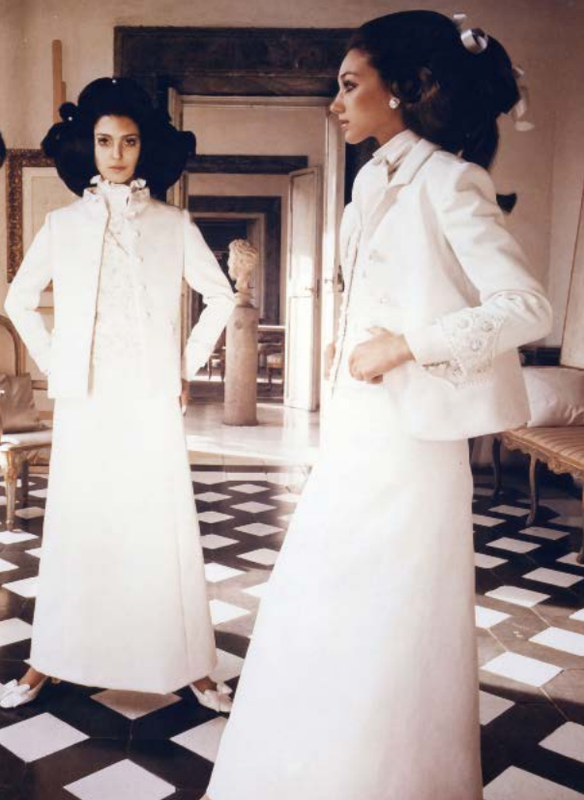 This was the all-white outing that included the suits with embroidered jackets and maxi-length skirts worn by Beneditta Barzini and Marisa Berenson in the famous Henry Clarke-lens campaign, shot in Cy Twombly's apartment in Rome; the one that introduced the tonal "V" logo as a graphic; the one that Jackie Kennedy plucked a dress from to wear to her marriage to Aristotle Onassis. White has been a key color in the Valentino palette ever since. Indeed, some of the most well-known Valentino looks are white ones. For instance, in June, 2005, when Gwyneth Paltrow joined Mr. Valentino and Mr. Giammetti for "Una Notta a Roma con…" she wore a gown from the Haute Couture Spring/Summer 1996 collection—an empire-waist number in white point d'esprit with a matching beaded column of embroidered tulle. Paltrow, long hair flowing, has never looked so otherworldly. A zillion or so paparazzi shots attest to that fact. And then there was the gown that, more than any other, educated people in Valentino's art and craft. 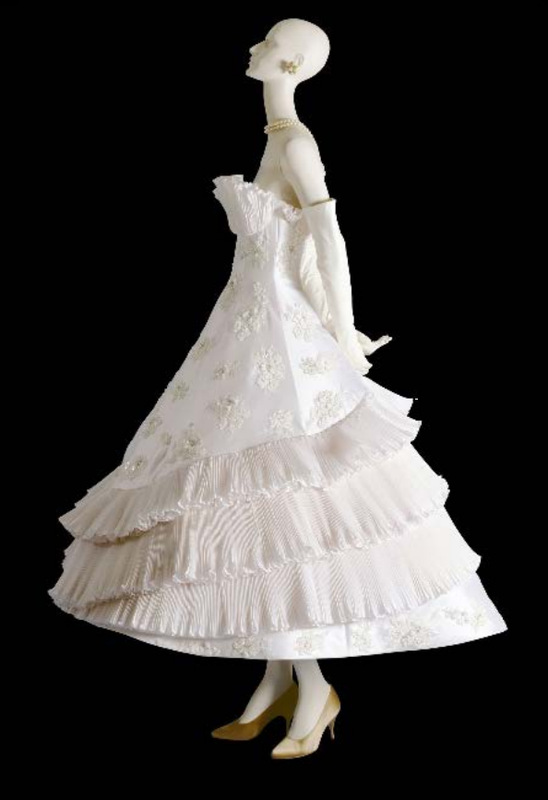 The creation of the silk jersey gown in white, with its pleated bodice and straight skirt frilled with bead-edged, bias-cut strips, was documented in the film Valentino: The Last Emperor. If the documentary revealed the imagination, the attention to detail, the hard work and handicraft that went into the dress' making, Anne Hathaway's appearance in it at Valentino's Love Ball at Wideville in 2011 showed the beauty of the end-product to dazzling effect. That was summer white perfection, realized against the backdrop of that particular blooming garden outside Paris, and embodied in that particular white dress.